Network performance depends on both the quality of its components, as well as the quality of the physical network cabling installation. We install only the finest quality cabling and components which we thoroughly test to ensure the most reliable and cost-efficient data and voice cabling systems. LC Tech Solutions will work to help you determen what you need to complete a network infrastructure and create a network that meets all your needs. 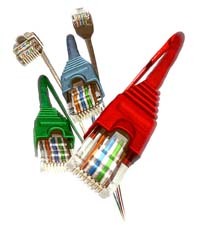 · Data & Voice Cabling Installations Cat 5, 5e, 6, 7(Fire code approved). New construction projects or existing office spaces. © copyright 2003 LC Tech Solution, Inc. All Rights Reserved.